This is the first installment in a three-part series on designing age-friendly communities from the Pennsylvania Chapter's Healthy Communities in PA.
Communities should work for everyone. Our parks and sidewalks should suit young moms and dads, as well as their kids, parents, grandparents and — as we live longer — great grandparents. Likewise, everyone should be able to enjoy environments that make a community feel like home and provide opportunities to learn, to make a difference, and to connect with friends, old and new. But if we pause to look around, our cities and towns aren’t built for us to fully engage with life throughout our lives. Crossing the street or finding a part-time job, for example, may be exponentially more difficult for an 82-year-old than a 28-year-old. That’s where the age-friendly movement comes in. Started by the World Health Organization and led by AARP in the United States, it inspires us to see this inequality as a social justice and sustainability issue, and rethink how to welcome every generation into the fold. In Pennsylvania, our age demographics speak for themselves — and underscore the urgency for such change. According to the Pennsylvania Department of Aging, more than 55 percent of households in the commonwealth have someone age 60 or older living in them. In 2016, 2.9 million of Pennsylvania’s 12.8 million residents were ages 60 and older, and more than 300,000 were 85 and older. By 2020, the 60-plus population is expected to increase by 25 percent, and the 85-plus population is projected to increase by 20,000 people. Meeting the needs of an older population comes with challenges, but the age-friendly movement understands this growth as an asset. Older people have career expertise, lived experience, and buying power. In fact, a study by Oxford Economics revealed Americans ages 50 and older spent $3.0 trillion in 2012, accounting for 51 percent of all spending by people over age 25 — and that excludes healthcare dollars. Investing in people of all ages and the communities they call home is not only right. It’s smart. Several forward-thinking communities across the state — Philadelphia, West Chester, Swarthmore, and my hometown of Pittsburgh — have joined the WHO and AARP Global Network of Age-Friendly Cities and Communities, which currently includes 189 member communities nationally and 500 internationally. After officially entering the network, an application process that requires a letter of commitment from a jurisdiction’s highest elected official, participating communities kick off a five-year cycle of planning, implementation, and evaluation. 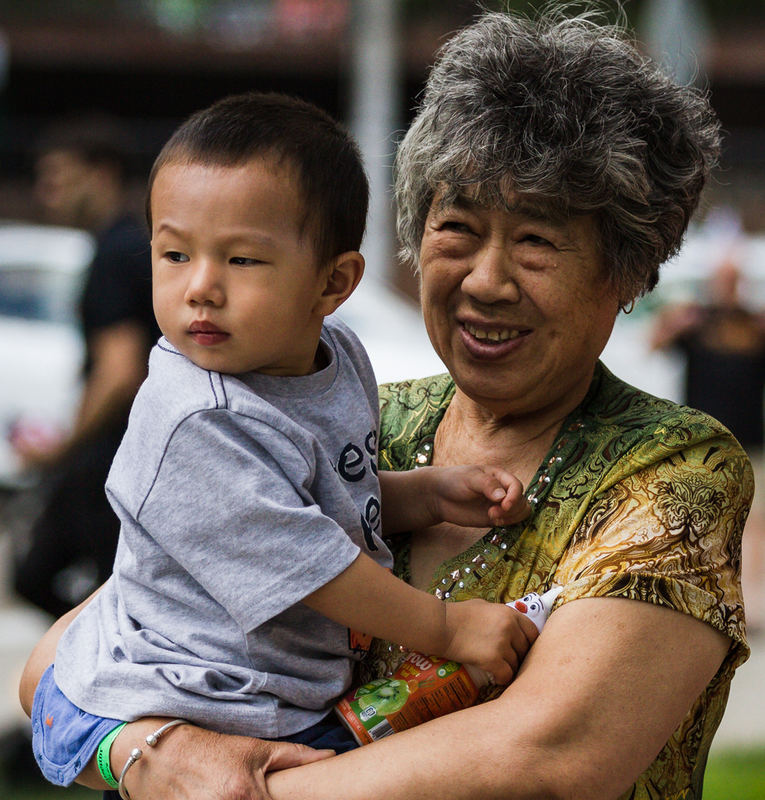 Residents of all ages enjoy an Open Streets event in Pittsburgh. Photo courtesy Healthy Communities in PA. This checklist explains each domain in more detail and provides recommendations for communities to consider. Promising practices and policies can be found in these case studies, too. In Pittsburgh, we joined the WHO and AARP network in September 2015 and finalized our Age-Friendly Greater Pittsburgh Action Plan in September 2017, representing both the final step in our planning phase and the first step towards implementation. We’re excited to get to work and, along with our partners from across the state, share our progress in the months ahead. The majority of older Americans — 90 percent, in fact, according to AARP’s Public Policy Institute — want to age in place. The age-friendly movement recognizes that “place” is more than a house or an apartment. It’s a neighborhood. It’s a routine, or the freedom to break from it. It’s a sense of belonging. And we all deserve that. Top image: Open Streets event in Pittsburgh. Photo courtesy Healthy Communities in PA.
Laura Poskin is the project manager for Age-Friendly Greater Pittsburgh, an initiative of Southwestern Pennsylvania Partnership for Aging. She also serves as the co-chair of APA Pennsylvania’s Healthy Aging Work Group.